With (almost) all of the older Duggar girls married, out of the house and birthin’ babies, it’s time to bring in some of the family’s younger “blessings” to help add to the family’s bottom line. 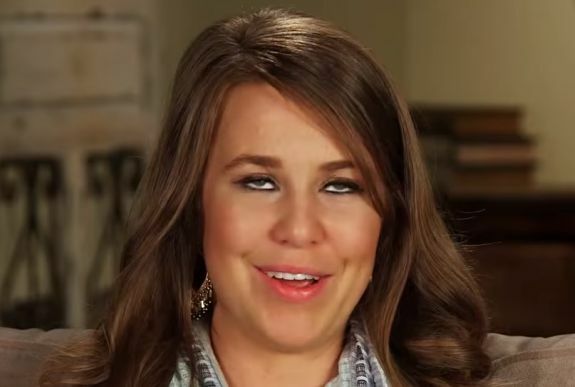 If you’re a fan of the older Duggar girls, the Duggar family insists that you’ll like the younger Duggar girls. 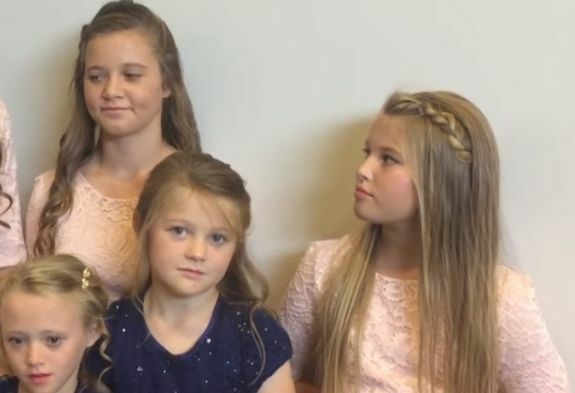 “We’ve always said that the four youngest Duggar girls’ personalities are like the four oldest girls on repeat. Everyone has a twin. Jana/Johannah, Jill/Jennifer, Jinger/Jordyn, and Jessa/Josie,” the CD’s website states. If you’d like to order the Duggar Girls’ new CD, you can do so using the link below! How can you be born an American, and not know the words to the national anthem? What is Jim Bob going to do when their are no more little children to pimp out? haha “we need to do the word “brave” again cause there was a crack.” As a music producer you didn’t hear all the other breaks and cracks??? I think Josie could be a decent singer with actual lessons… Like lessons from a professional not Michelle, Jana and the handy homeschooling books. I know these kids are really sheltered, but goofing on the Star-Spangled Banner was ridiculous. A little girl who is very likely developmentally delayed from being so premature.